Making Learning Visible: Art – CONNECT! I was walking down our art hallway today and saw our art teacher, Lorrie Emin, putting up these great pieces of student work. 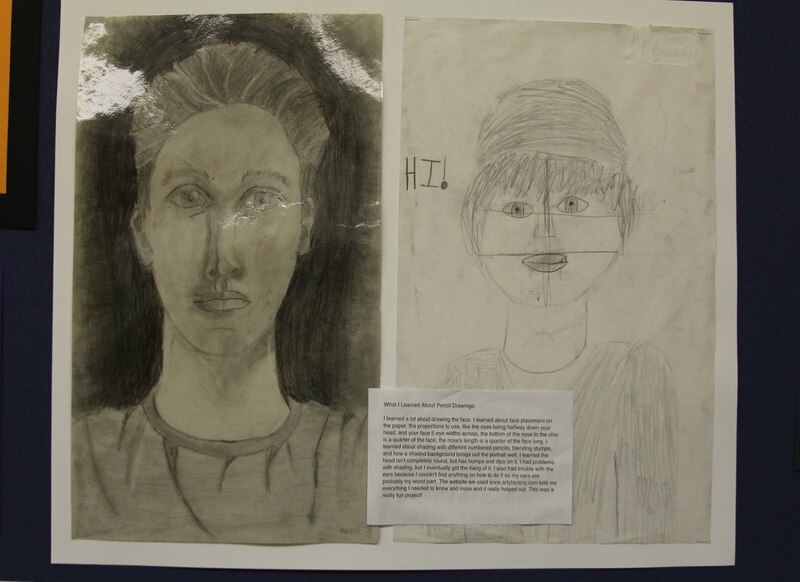 What struck me about these pieces of grade 7 student artwork (beyond the amazing quality) was how the focus was on the student learning – not just on the final product. 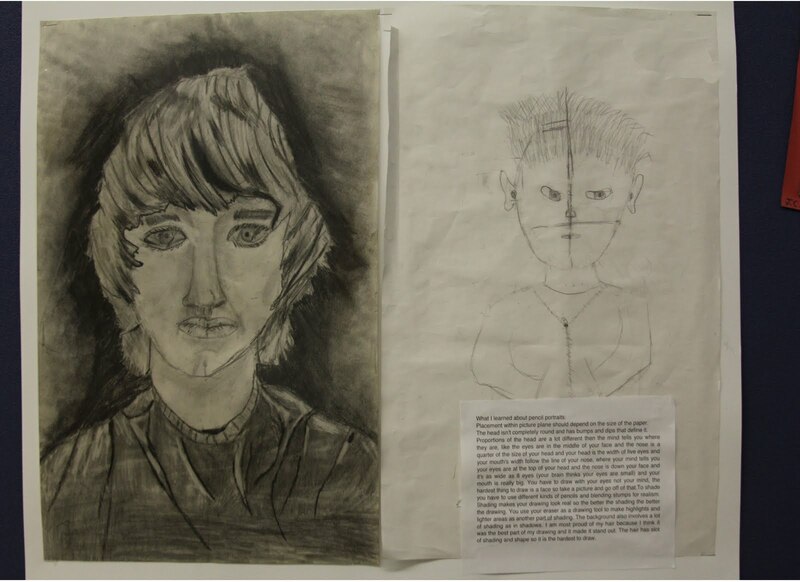 Each piece demonstrated incredible growth and skill development – made public to the rest of the school. This was done in a simple – yet effective way. Each of the samples had three components: a first draft, a final draft and a short blurb from the student explaining what they have learned about sketching and the challenges they faced. Next Next post: Edmodo: Social Networking Reinvented!